Achieving success in retail display environments depends on various factors. Every retailer must have an exceptional logistics system in order to offer the best quality service to their customers. Logistics play a major role in sourcing and inventory management, among other key activities in the overall supply chain. A retailer should provide customers with products they desire at the correct quantities, the correct time, and the correct place. In order for a retailer to successfully carry out these activities they require a logistics provider who demonstrates sufficient experience and one that is staffed with experts who can solve any complex transportation issues as they arise. Along with offering the best competitive prices, maintaining standards of service are important when implementing the correct mode of transportation and are a key focus of a knowledgeable logistics team. Here are some of the reasons why logistics are important to every retail display environment. For a retail business to produce successful results, the company must be able to spend a substantial amount of time focusing on the management of their company. Too much time spent on dealing with their logistics efforts denies their staff the ample time they need to concentrate on other key activities; such as marketing, administration, customer care or inventory management. It is important that a retailer chooses a reliable logistics provider that is experienced and cohesive. This way, it is possible for management to give attention to other activities that are core to the retail environment. The most critical requirement of every retailer is having the ability to offer products at the right place and at the right time. With a good logistics provider, an eye-catching flow of goods will be displayed in and out of the store. Having a reliable relationship with your chosen 3PL will allow for last minute changes and a working relationship that allows you to be confident in your transportation decisions. This means that your company rarely suffers from unexpected damages or delays that can cause negative impact on both the business and the customers. However, it is important that you implement good store management techniques to avoid losses associated with poor stock management. Make sure that the various stock levels are communicated to your supply at the right times. If last minute rush orders are necessary, have a logistics team behind you to accommodate those requests. This will not only strengthen your total supply chain, but may go a long way in helping to avoid losing potential customers. There are many overhead expenses that are included in the transportation of products. In addition to clearing and forwarding in the case of imported products being moved, you may have extra expenses that you haven’t budgeted for. This could become very expensive for a retail business. Teaming up with a dependable logistics provider who offers insight and risk assessment will allow you to minimize these expenses as well as other transport risks. Pre-planning is key in maintaining your budgets. When goods are being transported from one location to the other, there are considered to be stored goods. A good logistics provider will allow your company to avoid extra storage costs until the goods arrive safely at the retailer of choice. Make certain to negotiate storage fees upfront and get to know you 3PL’s policies on timeframes. Companies strive to minimize transport costs and maximize the ability to meet the needs of their clients to achieve success in their business. The most crucial step in this process is to execute an effective supply chain management system. This involves managing products to be transported, ensuring the correct method of transportation is used and establishing the most cost-effective route between the origin and the destination. These factors determine your capacity to derive value from using a supply chain management system. Any company that implements supply chain management typically guarantees reliable delivery of raw materials and finished goods through use of a bid, which outlines job parameters and expectations upfront. This involves a close working relationship with suppliers, customers, shippers and warehouses. If any of these parties fail to perform their role on time, it is likely that the entire process will be delayed, resulting in direct consequences on all the parties involved. Establish your deadlines early on and monitor production schedules to ensure a reduction in delays. Another fundamental component in having an effective supply chain is to have lasting relations with suppliers and customers. This means you should have stable prices available. The inability to guarantee stable prices for a final product is typically associated with an increased cost of doing business, increased material costs and the transportation necessity. This can make it impossible to maintain product prices. You should detail the factors that cause such internal and external price fluctuations. Include these factors before a final price is set and take them into account when developing ideas and negotiating deals. In an effort to guarantee a seamless supply of raw materials and finished goods, companies enter into agreements with stakeholders to deliver different types of cargo on specified dates or at certain inventory levels. This eliminates the need to recurrently place orders for such goods, which also removes incidents of stock-outs and subsequent lost sales. However, there are times when the suppliers may deliver goods at the wrong time or place, or deliver entirely the wrong goods. This is a failure of coordination in the supply chain and can have devastating effects. Pre-planning schedules and offering verification checks can help to diminish stock-outs or production of poor quality goods due to use of improper inputs. Any manufacturing company that desires to have an efficient supply chain must monitor various production costs to guarantee that they remain within manageable limits. This can involve integrating systems, with your chosen 3PL. Doing so can provide for optimal inventory levels, ensure orders are processed quickly and accurately, tracking is internally transparent, and back office accounting is streamlined. A reliable logistics service provider can help to minimize delays and damages, which are other key outlays in supply chain. Switching transport responsibilities between providers often involves a change in processes, therefore integrating with a technology driven partner can save time and money year over year. By streamlining your supply chain management through the help of a dependable shipping partner and cohesive technology, you can stay one step ahead of the competition. Every company should strive to take these tips into consideration to demonstrate a reliable supply chain that integrates various stakeholders and resources to guarantee the quality, price and reliability of the entire system. If a firm overlooks negative signs that show inefficiencies in such systems, there is high likelihood that these systems may fail in the long run. Automation paired with having a fully-fledged supply chain department can help manage the supply chain effectively, and in turn, success should shine through in your business. A third party logistics provider (3PL) offers outsourced or third party logistics services for part of or all necessary supply chain management operations. 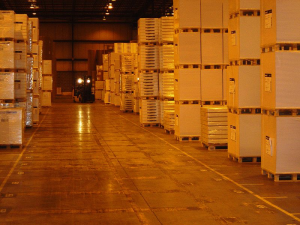 3PL’s typically specialize in warehousing and transportation needs that can be customized to a customer’s requirements. As a business decision maker, there are many benefits to partnering with a 3PL. Peace of Mind: Knowing that you have a professional partner on your side to manage the transportation of your goods will allow you to focus on other operations. Look for a 3PL with years of experience, professional service and the resources to get your items from point A to point B on time and undamaged. Risk Reduction: If you choose transportation carriers on your own, it can be easy to overlook important factors such as operating authorities, insurance information and safety ratings. Utilizing a 3PL ensures that you won’t put your freight in the hands of an incompetent carrier. STC standards of excellence and rating systems are imposed to safeguard against ineffectiveness. Time is Money: Do you really have the time to route, track and manage day-to-day issues that arise from your freight? Many little issues can arise in logistics and 3PL providers have dealt with it all. Electronic transfers of data can minimize inaccuracies and provide real-time updates throughout the duration of your shipment. Speaking of Money… 3PL providers have an eye for logistics. They can arrange your freight, consolidate LTL shipments and recommend unique solutions that you may not have thought of before. Having the ability to find a different, yet better way to ship your products is a valuable asset that a 3PL can offer. Look for a provider that can provide assistance for your unique freight shipments. STC Logistics has industry expertise and a reputation for quality. We provide expert consultation and have relationships with a vast network of nationwide secure cross-docking facilities. If you are considering hiring a 3PL company, you should analyze some key areas of your shipment needs to determine what your logistics partner should provide. Download the free resource, “Hiring a Third Party Logistics Company,” by clicking here. 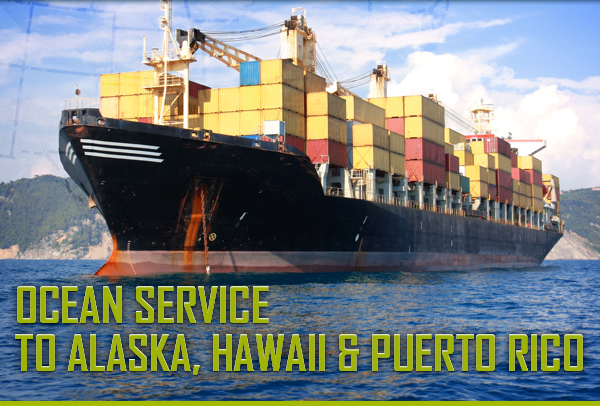 STC Logistics offers Ocean service to Alaska, Hawaii, and Puerto Rico via all major U.S. Ports. In addition, as a licensed NVOCC, STC Logistics provides shipping capabilities to and from all international ports. In conjunction with our excellent Air and Truck domestic services, our experts will create the most cost-effective route to ship your products by sea. We provide both LCL (less than container load) and FCL (full container load) ocean services. Click here for more information about our ocean services to Hawaii, Alaska and Puerto Rico or click here to contact us! If your business heavily relies on your supply chain and logistics, recruiting and managing top talent is critical. As we head into 2013, having talented logistics professionals on-hand as a resource is crucial to growth. The Bureau of Labor Statistics recently projected an increase in the need for transportation and logistics management workers. This is mainly attributed to the number of individuals in the industry who are retiring or transitioning into new fields. Overall, high-level logistics management employment will grow by seven percent within the next seven years. This growth will result in the need for programs that educate potential employees; a skilled workforce will be required to fill these open positions. Education for the logistics workforce goes beyond entry-level workers. C-level executives should have specialized knowledge. It’s important for logistics professionals to be knowledgeable in tactical, strategic and operational areas. Simply having a basic knowledge of supply chain and logistics may not be enough. Recruiting and managing internal logistics and supply chain management workers may not be the most cost-effective option for your company. Instead, consider hiring a third party logistics provider. These companies specialize in transportation and are able to deliver superior, flexible solutions for an organization’s transportation requirements. Third party logistics providers have extensive networks of resources and a total dedication to your supply chain. They are able to keep a watchful eye and manage your freight shipments while you focus on running your business. The right logistics provider acts as a valuable extension to your business. This will allow you to focus on your core competency. If you are interested in hiring a third party logistics company but are unsure of where to start, click here for a free checklist. This free download will allow you to analyze the key areas that a logistics partner should provide. Logistics Faceoff: Which Delivery Method is Better – Rail or Truck? Author STCBlogAdminPosted on January 23, 2013 June 16, 2016 Categories Air Shipping, Freight Shipping, Ground Shipping, Intermodal Transportation, Logistics, Ocean Shipping, Rail ShippingLeave a comment on Logistics Faceoff: Which Delivery Method is Better – Rail or Truck? If you are planning on shipping your freight via ground shipping, you are probably choosing between rail or truckload shipping. There is no “wrong choice” per say, but there may be a more ideal choice for you depending on your company’s goals. Conserving energy, time and resources is no doubt important for your business and supply chain, so it’s important to weigh your delivery method options. Consider the pros and cons of both rail and truck shipping methods. Trains are superior in the realm of energy efficiency for shipments over land. A train’s steel wheels produce very little kinetic friction. On the other hand, a truck’s thick tires create heavy static friction. This means that a truck’s engine consumes more fuel. Trains also move at a slower pace, which greatly improves fuel consumption. The aerodynamic drag caused by moving a heavy freight at fast speeds is diminished via rail. Therefore, if your concerns for supply chain management heavily rely on the energy efficiency of your vehicles, and if your shipment is a medium to long distance route, rail shipments may be more ideal. Approximately 4-5 Days shipping time from California to New York. On the other hand, time is money. If your company is fast-paced, a train’s lag in time can make all the difference. Because trains move slower than trucks, those who rely on quicker delivery times may choose the faster truck. Trucks are also more flexible, because they are not reliant on railways. They can operate on any roadway throughout the continent. In short, the answer to the question posed in the title of this article is: it depends. Both shipment options have pros and cons. STC Logistics’ Intermodal Service combines Ocean, Rail and Truck to offer door-to-door transport in North America. If you choose Rail shipping, keep in mind that you will most likely implement Intermodal Shipping in order to transport your items to and from the rail yard. Weight plays a major factor in transporting goods. By utilizing more than one mode of transportation, you can experience the benefits of both modes of logistics. The team at STC Logistics can handle the drayage, rail negotiation and transport of your intermodal shipment. Which Mode of Transport is Right For Your Freight Shipment? Author STCBlogAdminPosted on December 4, 2012 June 16, 2016 Categories Air Shipping, Ground Shipping, Intermodal Transportation, Logistics, Ocean Shipping, Rail ShippingLeave a comment on Which Mode of Transport is Right For Your Freight Shipment? The goal for business owners is to minimize transportation costs and meet customer demands demand for their products. Transportation costs are dependent on the distance between the source and the destination, the selected method of transport and both the quantity and size of the shipped product. The infrastructure of the roads in the US plays a major role in handling cargo across the nation. Shipping products via truck is the most common mode used in logistics in the US today. Large volumes of trade can be imported/exported through ships on ocean vessels. Through waterways, ships transport cargo from one country to another. STC offers LCL (less than container load) and FCL (full container load) via ocean. Through rail shipping, large volumes of freight can be moved in a short period of time. Intermodal shipping is becoming a very popular service in recent years. Freight shipping is carried out on trains and then transferred to trucks and/or planes. Flying your product to its destination provides a swift solution for your company. This method is commonly used by businesses with time sensitive shipping needs, and air is one of STC Logistics’ signature services. No matter which transportation method you choose for your company, STC Logistics’ extensive network ensures that your goods arrive promptly and safely, every time. 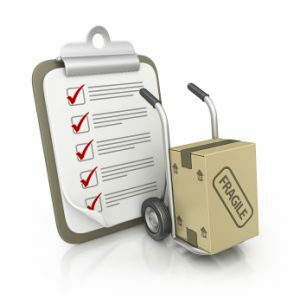 If you still aren’t sure how you should ship your products, we can help. Our experts at STC Logistics are industry leading Commercial Freight Specialist and can help you decide the best shipping methods for your company. Contact us today for more information or to request a quote.